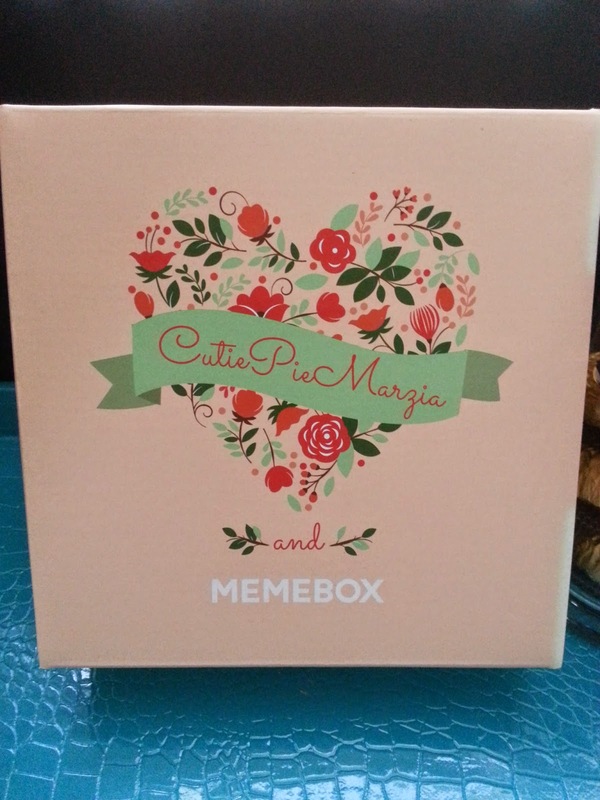 Not going to lie, I bought this box because the promotion picture on Memebox looked really cute. It was full of candy and sweets on pink fluffy clouds. I had imagined the products to be adorable and sweet just like picture. Since I ordered the trio, Vagabond Youth, Cutiepiemarzia, and Samantha Schureman, way before the reveal, I had no idea what would be in it. It turns out, the products aren't all cute but sure are sweet, which got me rather excited. While I'm not head over heels in love with this box, I still like it a lot. I find the products to be useful and there are a couple of cute products in this box. Let's dig in, shall we? 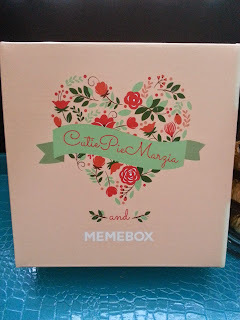 This is Cutiepiemarzia's 3rd collaboration box with Memebox. She's a Youtuber. Her first collaboration was cute, it had 1 item I really wanted which was the Beauty People eyeliner set. Sadly, I missed the box, and missed all the re-stocks too. Maybe it just wasn't meant to be. Collaboration boxes don't usually intrigue me because all the products are reveled when the box is on sale. Which means I can usually talk myself out of buying it for one reason or another. Complete mystery boxes on the hand, like this collaboration trio, doesn't allow me to see the products. So I'm more curious on what products could potentially be in it. A facial cream packed with berry extracts and Cos 5 Complex. It delivers instant replenishment to the skin and contains collagen capsules to help lock in moisture for a more supple and elastic complexion. 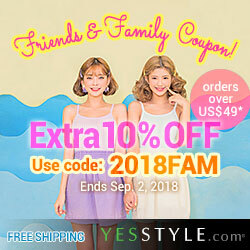 This cream can be used as a sleeping pack or as a wash-off facial pack. 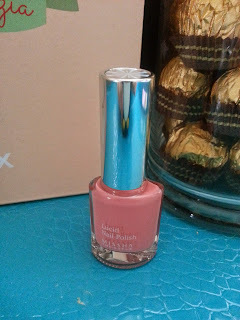 There are 3 kinds of beauty products I have a soft spot for: cute products (e.g. cute product packaging), rose beauty products (anywhere from masks to makeup), and strawberry related beauty products (e.g. beauty products that smell like strawberries). Since this one falls into the last category, I was excited. I've got plenty of sleeping packs to use so I won't be testing this anytime soon. It's also too good to be wasted as a wash-off pack. So I will save it for now. This cleansing oil is formulated with honey and acai berries. Cleansing oils are the best first step in cleansing, it melts away makeup, even waterproof eyeliners and lip makeup without dehydrating or stimulating the skin. To use, pump out the desired amount and gently roll in over the face, eyes, and lips for 30 to 60 seconds. Then rinse off and proceed to the second cleansing step, which is foam cleanser. My skin changed for the better when I started using the double cleanse method a year ago. I had known of the double cleanse method long before, but never tried it until last year. I was so glad I did. I have acne prone skin and nothing worked for it. But that two step plus my skincare regime made a big difference. 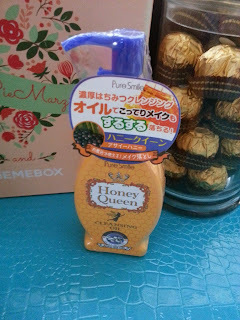 I've never used this brand of Oil cleanser before but I've used plenty of product with honey and acai in them. So I hope this will be a good one. However, this cleanser will have to wait in line because I'm using my current favorite Banila Co. Clean it Zero oil cleanser I got from Peach and Lily's Seoulcialite box. Let me tell you, it is amazing!!! A creamy hand cream enriched with naturally nourishing ingredients to give you the softest hands. It absorbs quickly and protects, moisturizes, and replenishes dehydrated hands. Apply to clean hands. A 1-step pore care treatment designed to unclog pores. 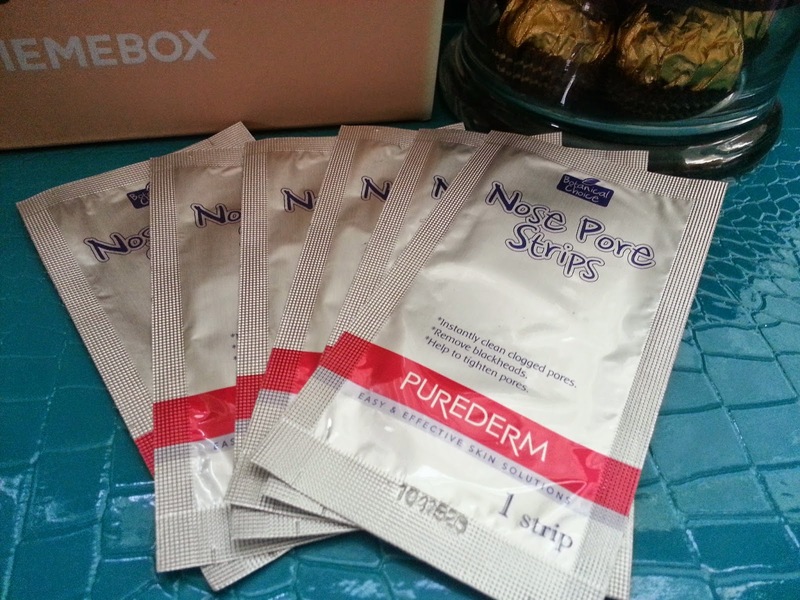 Works to extract blackheads, whiteheads, dirt, and oil piled up inside pores. Plus it smells like chocolate! To apply, wet the nose then apply the nose stripe to moistened nose. Press down and smooth out any air bubbles, then let the strip dry for 10 to 15 minutes. Slowly and carefully peel off the strip starting from the edges and rinse off any extracted residues. It's a love/hate relationship for pore strips and I. I used to use them bi-weekly and now I hardly ever use them. These are slightly tempting since they smell like chocolate, but I must resist temptation, mostly because I'm sure I'd scarf down a bijillion chocolates while I wait for the pore strip to dry. Okay, maybe not a bijillion but still a lot. 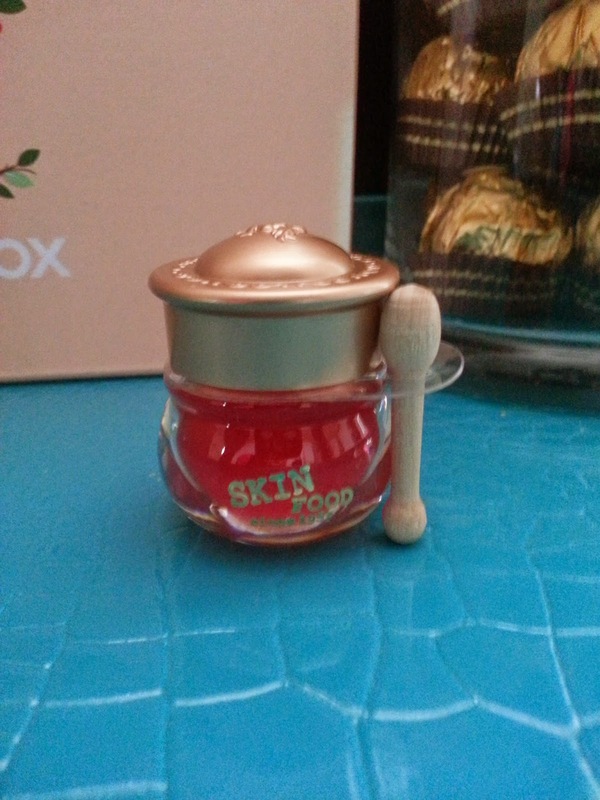 This honey pot lip balm contains a honey-textured balm. 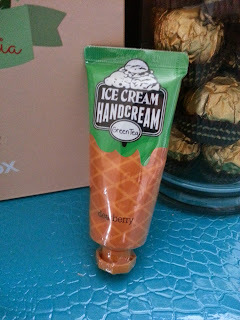 It will melt onto lips and gives luminosity and volume to it. It comes in a cute honey pot with a spatula too, who can resist? Remember how I said I have a soft spot for cute things? Well this hits that spot. It's adorable!! Although it's small, and probably not portable friendly, since I'd either loose the spatula or get the spatula dirty, it's still too adorable not to have. Plus it's useful. I love it. 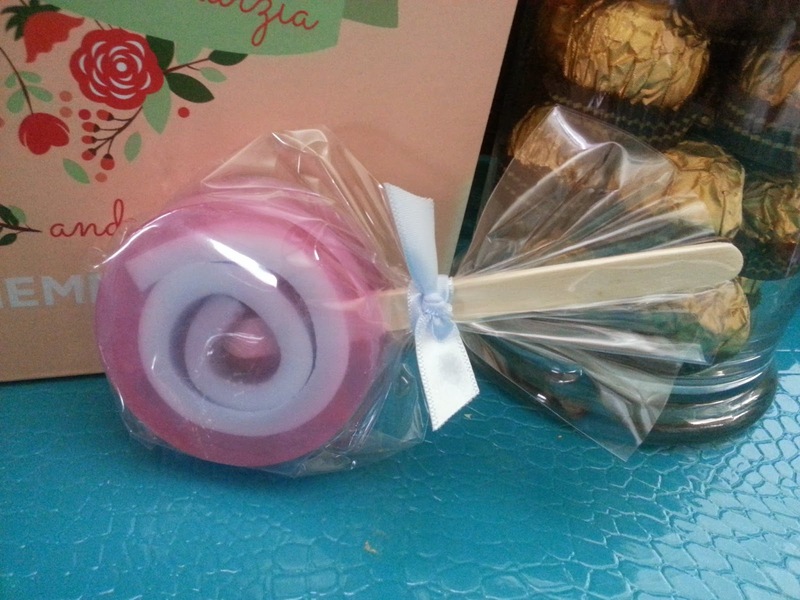 100% natural lollipop soap personally crafted and formulated with centella asiatica, hyaluronic acid and hydrogenated camellia oil. Lather well before use. Erm soap? Who uses soap these days? Just kidding, but seriously. It's kind of cute though, so it'll make a great gift. An inspiration from the ice cream sprinkles created this nail idea. 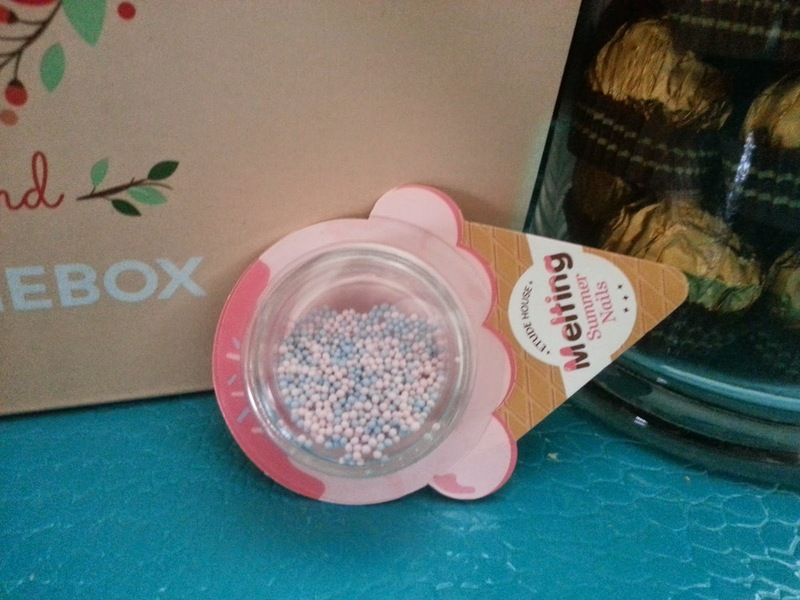 These resemble real sprinkles. You can create plenty of nail looks with them. I've seen this kind of nail looks before and it's quite popular in Korea. Although they call it "caviar nails". It's most commonly used on 1 nail on each hand and the sprinkles cover the entire nail, to create a statement nail. 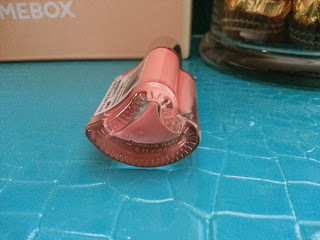 Or it can be used on the tips on the nails or dropped randomly on nails after a fresh coat of nail polish. 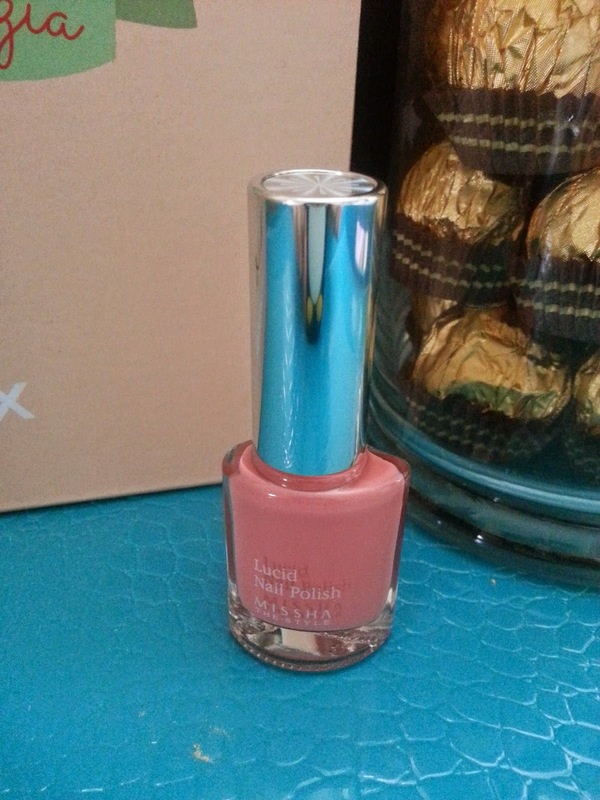 Well pigmented nail polish rich in color and radiance. One coat is enough and it also has a light fragrant rosemary scent after application. Apply a thin coat on your nails, add a second layer if desired. For best effect, apply a top coat. At first I was like nail polish, ugh. But then when I got the box and saw the heart shaped bottle, I was like cute! It's very adorable and I love the color too surprisingly. It looks great with one coat so I only have to put top coat after it. Definitely happy that this is included in the box. 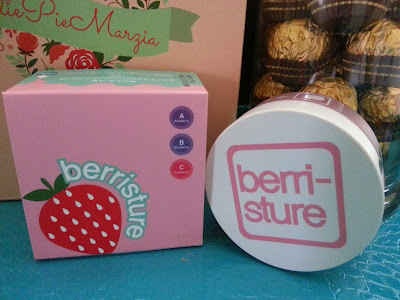 These 8 products in the Cutiepiemarzia collaboration memebox are pretty good in general. Nothing stand out too much. I like this box though, it's got some cute products, some useful products, and some products that smells good. The total value of this box is $74. Not the best, but not the worst. I can use a lot of products in this box and those that I can't use will make great gifts. Overall, it's a good box.